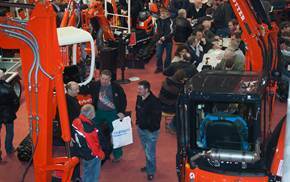 The national construction equipment trade fair Lucerne, which is well-known also beyond the country’s borders, will take place for the 16th time on the 21st until the 24th of February 2013. Among more than 200 exhibitors there are many new participants and of course renowned representatives of the construction industry. 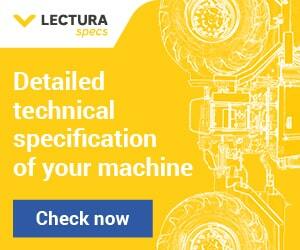 The exhibitors identify themselves with both, the BAUMAG and the site of Lucerne. The fairground Allmend will be rumbbling with movement and the trade fair turns into a Mecca for construction machines when it starts end of February 2013. On the open-air and the demo area, the imposing construction machinery leaves a lasting impression. All five halls are completely filled and promise to present many new products from renowned brands of construction machinery and equipment. All the construction industry likes to meet in the heart of Switzerland. The opportunity to share with the audience and the variety of industry leaders convince and satisfy both, exhibitors and trade visitors, but also the general public. Take a peek and cheer the young professionals. At the BAUMAG 2013 a first qualification of Region 2 for brick-laying takes place. This competition evaluates several candidates for the next competition on the way to the Swiss Championship. The popular mini-excavator competition with various disciplines promises fun and excitement for all ages. This original competition is organized and presented by the trade fair partner “baublatt”. The three most skilled participants will win prizes worth a total of CHF 1,000.